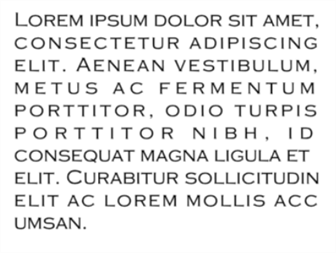 With the Text tool, you can type text in your project, using various fonts and texts attributes. Text objects are part of a drawing, so you can manipulate them the same way. 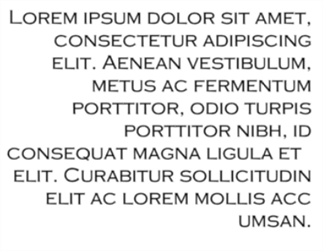 You can use the Text tools on both vector and bitmap layers. In the Tools toolbar, select the Text tool, press [Ctrl]+[Shift]+[T] (Windows) or [⌘] +[Shift]+[T] (Mac OS X) or select Tools > Text. 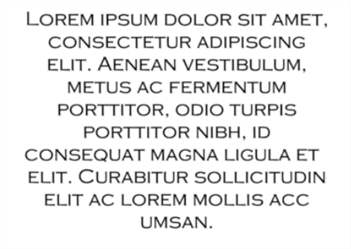 You can use the Text properties in the Tool Properties view to select the font, font size and format of the text you will type—see Formatting Text. 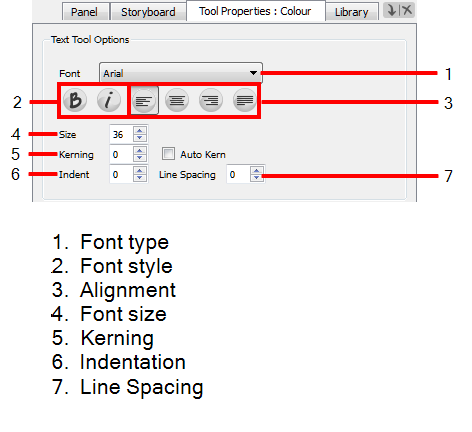 Use the Text Tool Properties view to select the font type and other formatting options you want to apply to the text. 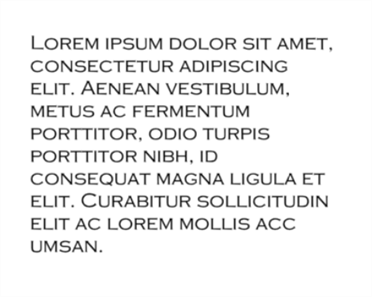 NOTE: If the text is already written, use the Text tool to select the text you want to format. In the Tools toolbar, click the Select tool or press [Alt]+[S]. NOTE: After your text has been broken apart twice, into a regular drawing object, you can now use all the drawing tools such as the Eraser tool, on the drawing. 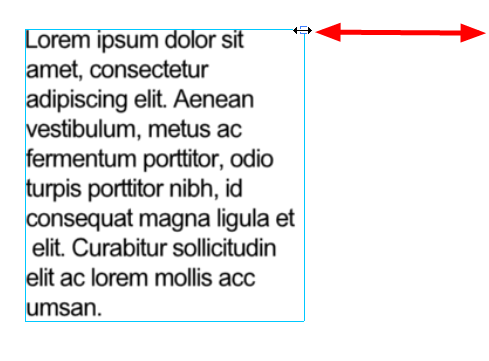 Be aware that if you want to use the Perspective tool on the text, you should create the text on a Vector Layer before breaking it apart twice, and then you will be able to use the Perspective tool on it.